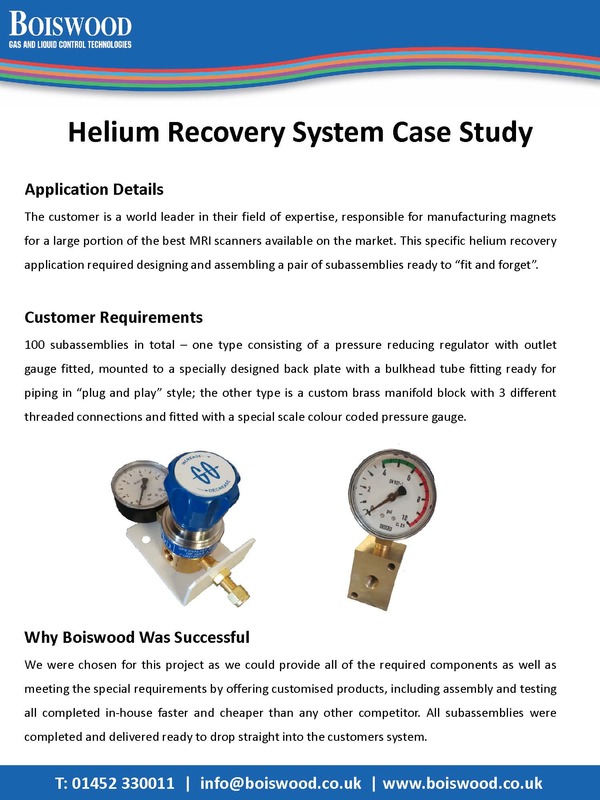 Welcome to our Applications Library, where you will find a selection of case studies showing our products in action. 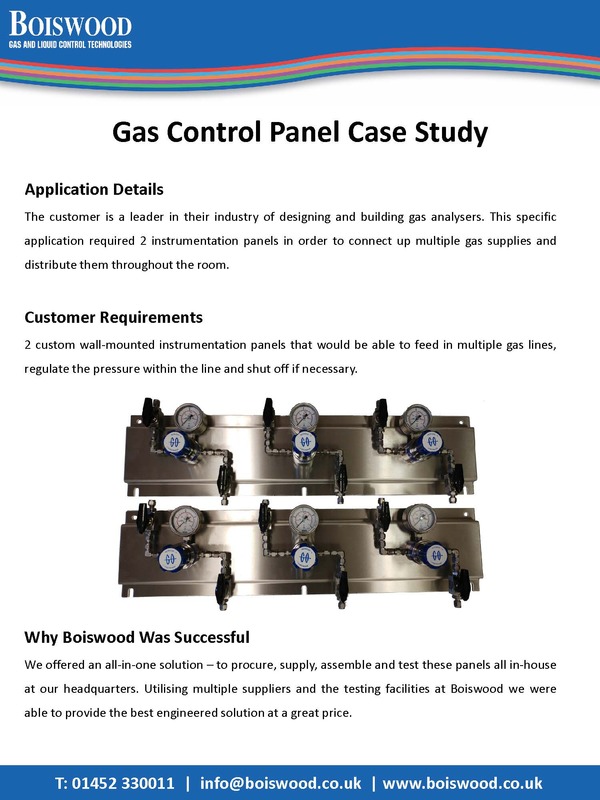 A custom designed and built gas let-down panel for the analytical industry. 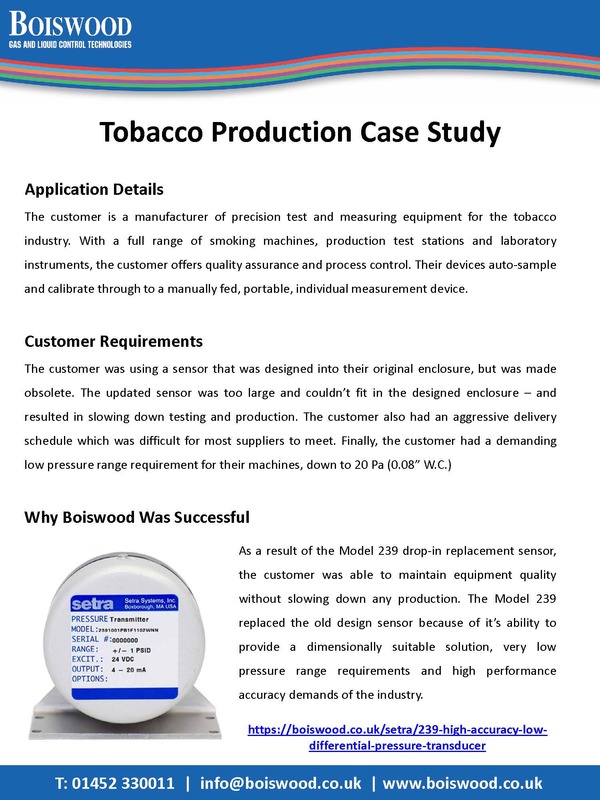 The Model 239 high accuracy pressure transducer in action for the test & measurement industry. 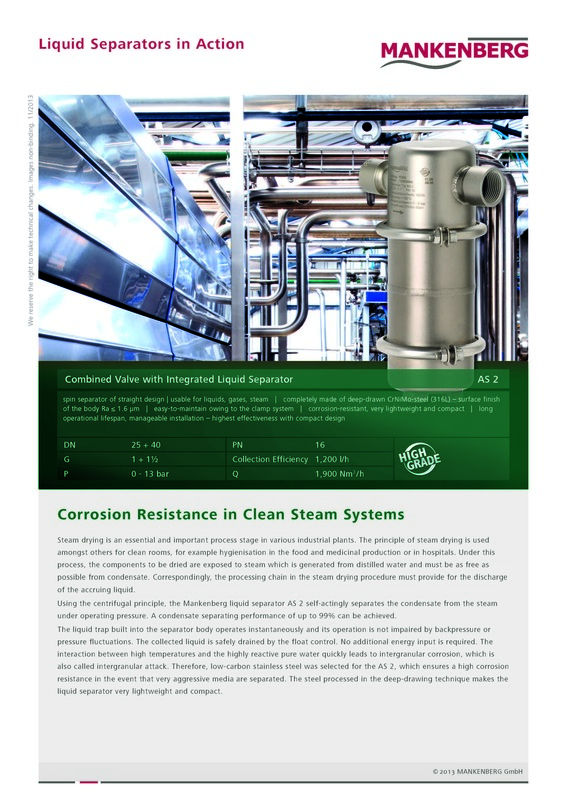 The AS2 Combined Valve with Integrated Liquid Seperator for use in clean steam systems. 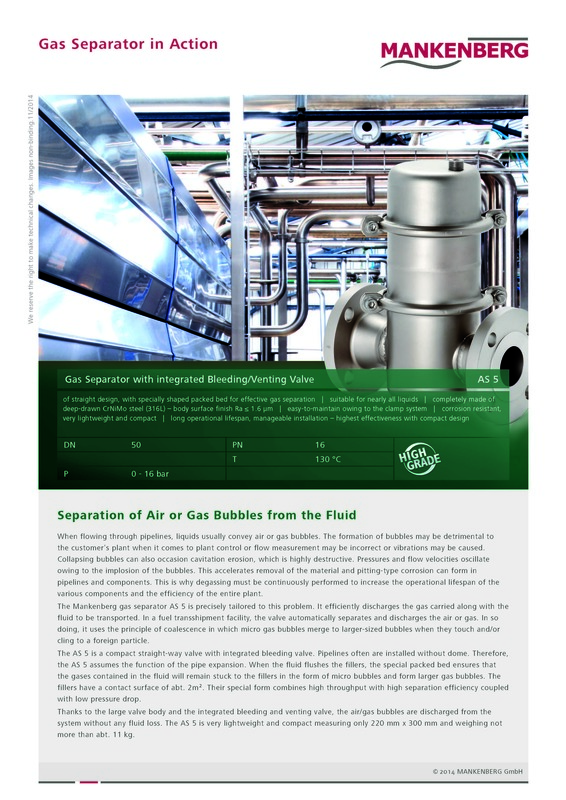 The AS5 Gas Seperator with integrated bleeding and venting valve, for seperation of bubbles from fluids. 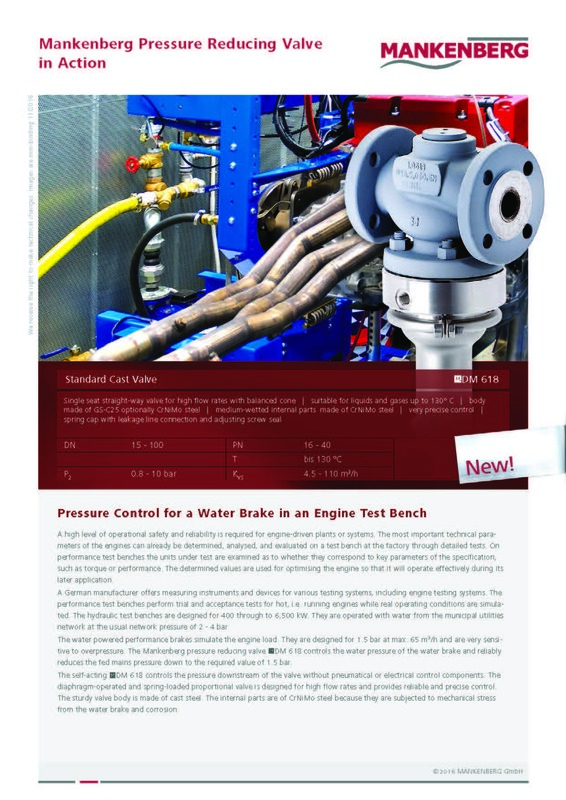 The DM618 Standard Cast Valve for pressure control for water brakes in engine test benches. 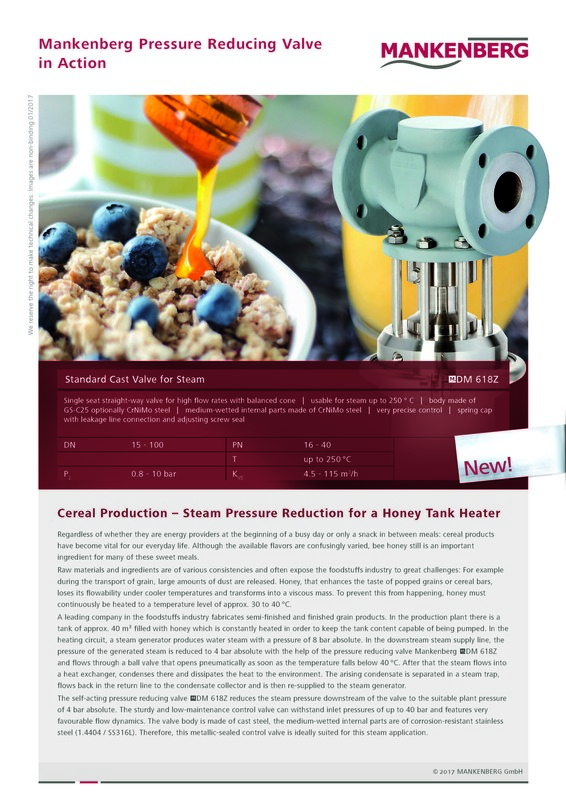 The DM618Z Steam Cast Valve for pressure reduction in a honey tank heater at a cereal production plant. 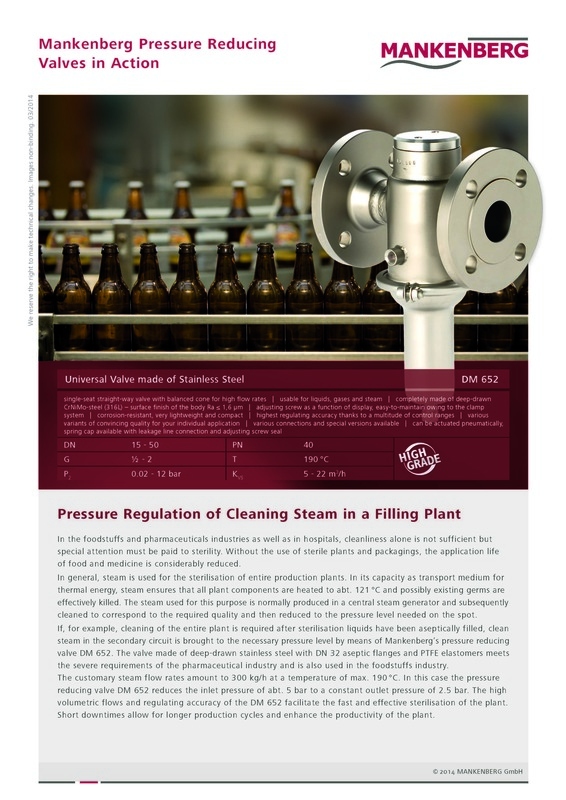 The DM652 Universal Valve for pressure regulation of steam for bottle cleaning. 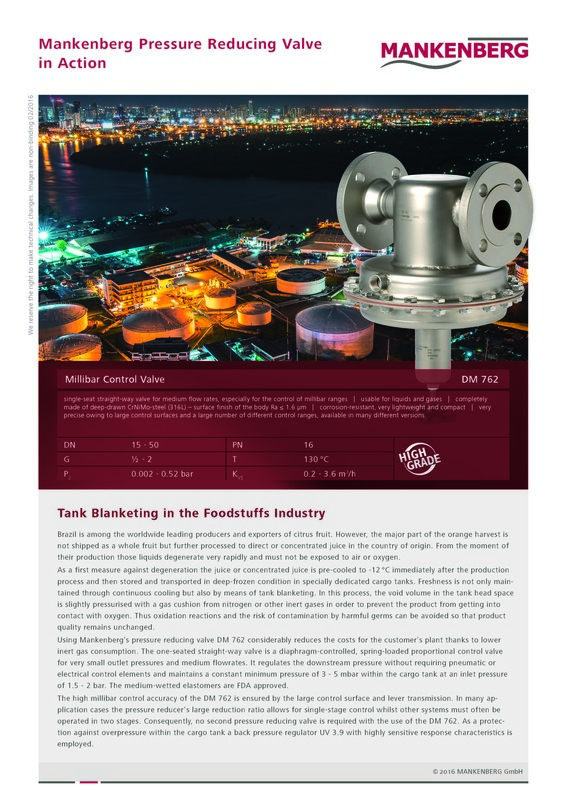 The DM762 Millibar Control Valve for tank blanketing applications. 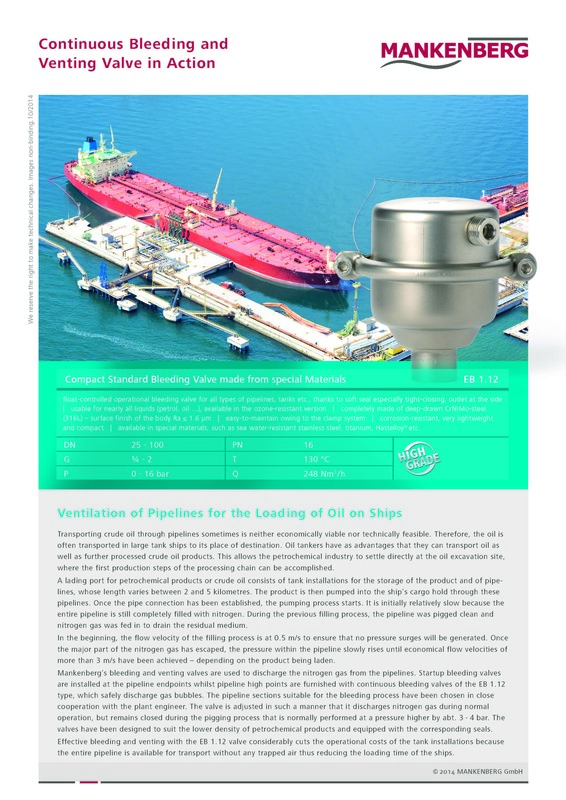 The EB1.12 Compact Valve for bleeding and venting pipelines whilst loading oil onto ships. 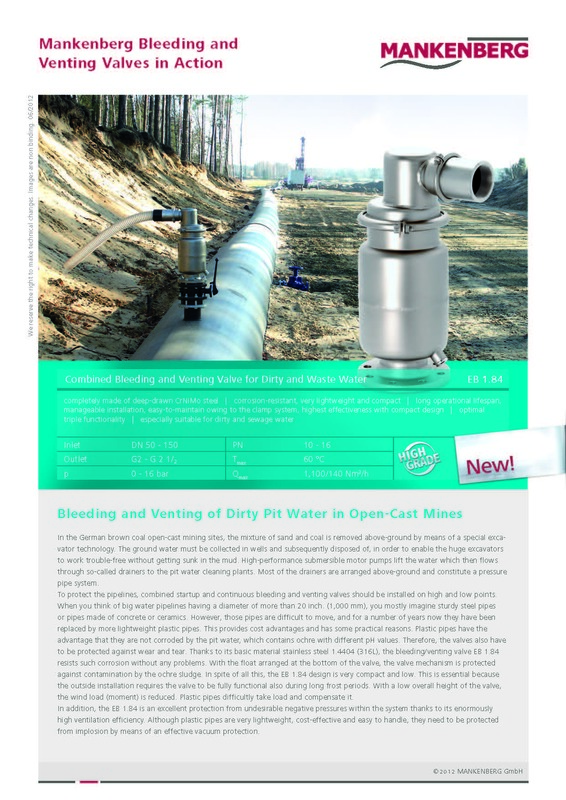 The EB1.84 Combined Valve for bleeding and venting waste water in open cast mines. 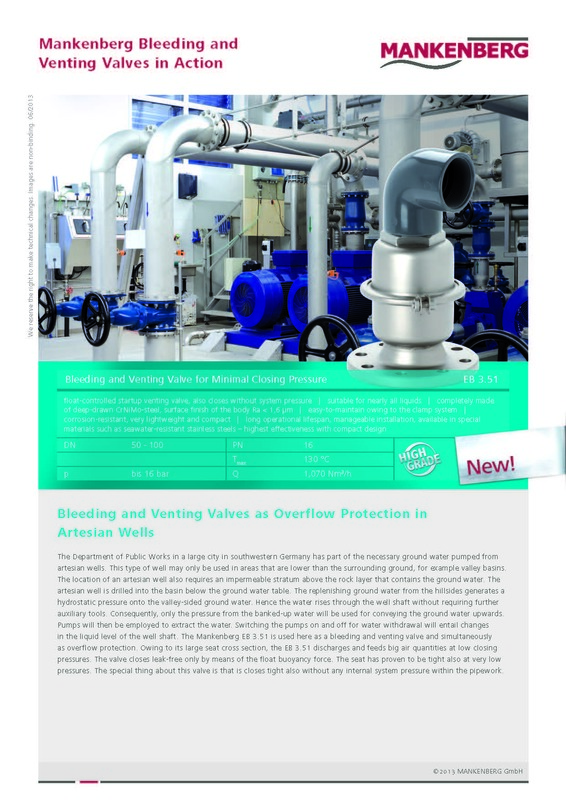 The EB3.51 Startup Valve allows minimal closing pressure for overflow protection in artesian wells. 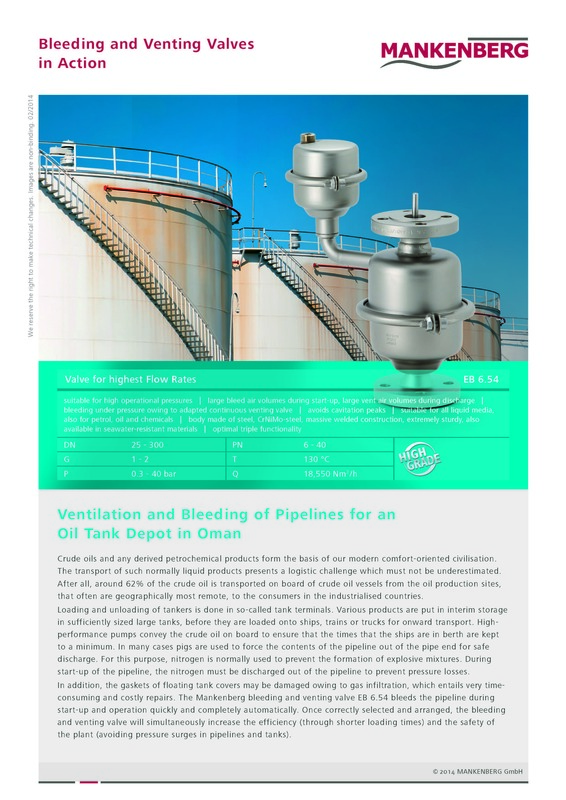 The EB6.54 Valve for bleeding and venting pipelines at high pressures at oil tank depots. 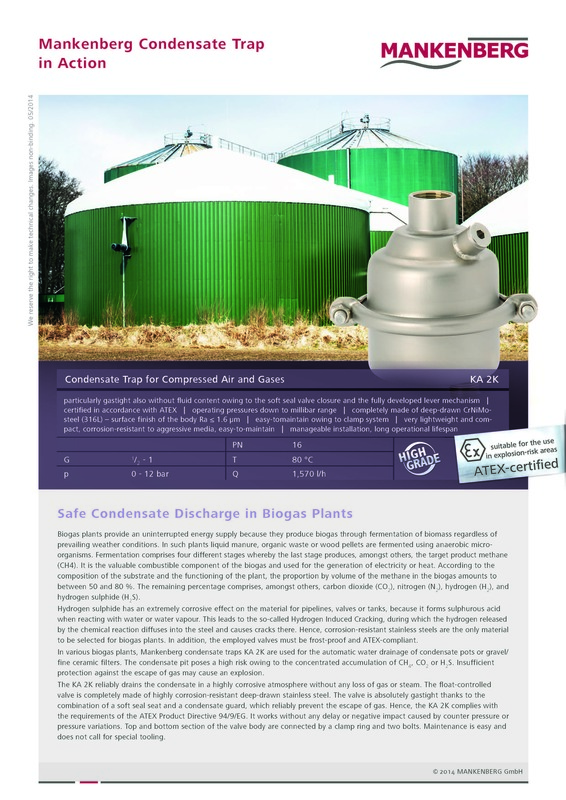 The KA2K ATEX Rated Condensate Trap for Compressed Air and Gases in Biogas lines. 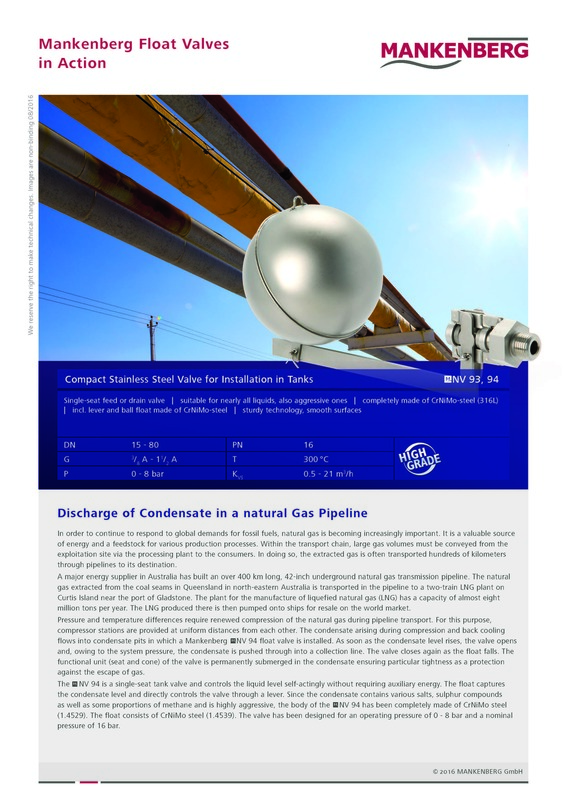 The NV93 and NV94 Tank Float Valves for discharging of condensate inside natural gas pipelines. 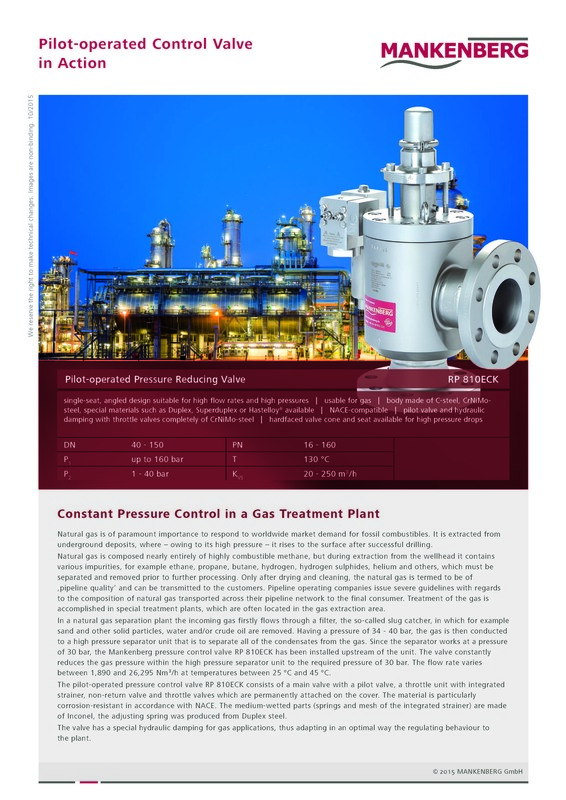 The RP810ECK Pilot Operated Valve for pressure reduction in natural gas treatment plants. 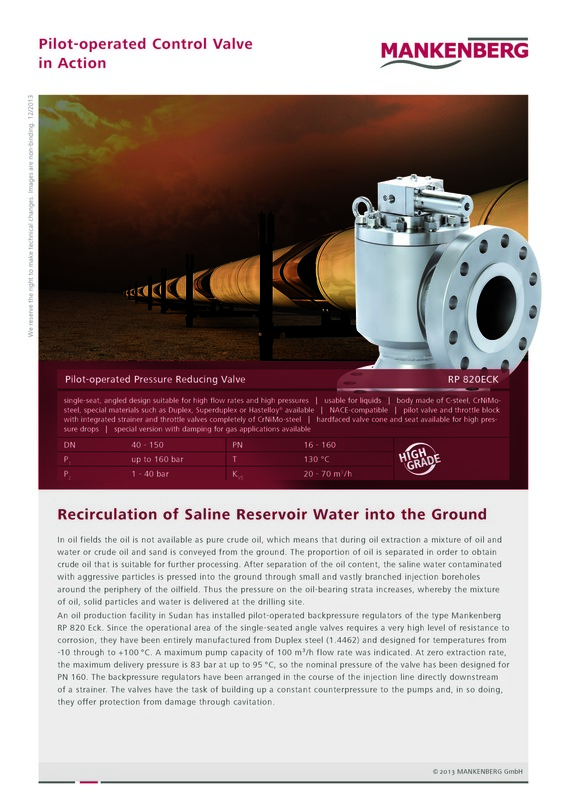 The RP820ECK Pilot Operated Valve for pressure reduction of a saline reservoir to redirect water into the ground. 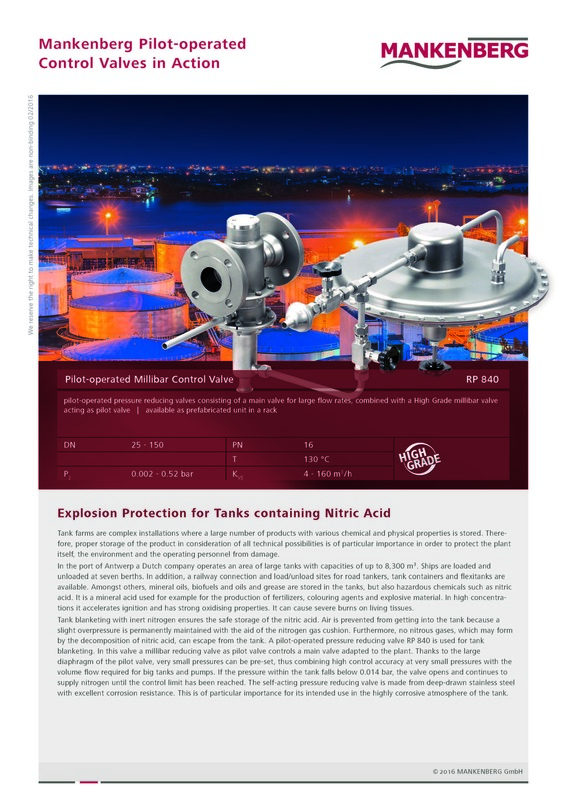 The RP840 Pilot Operated Millibar Control Valve for protection of tanks containing nitric acid. 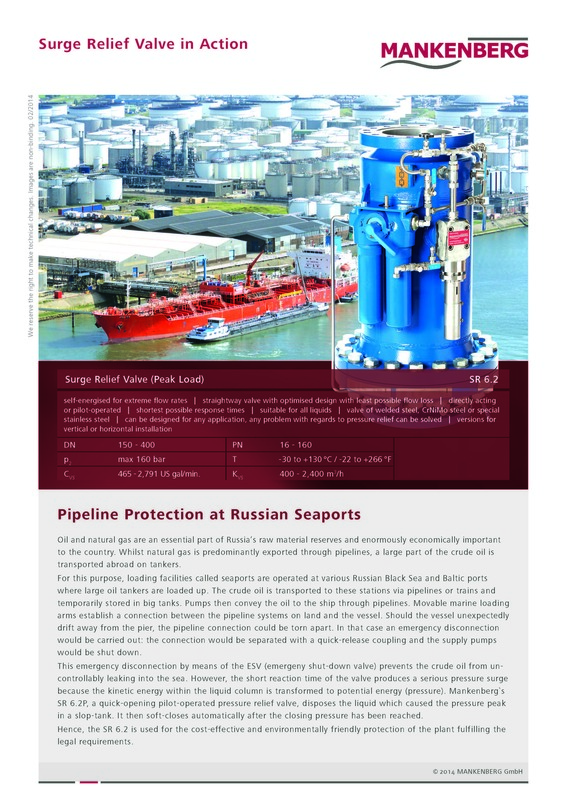 The SR6.2 Surge Relief Valve for pipeline protection (oil and gas) at seaports. 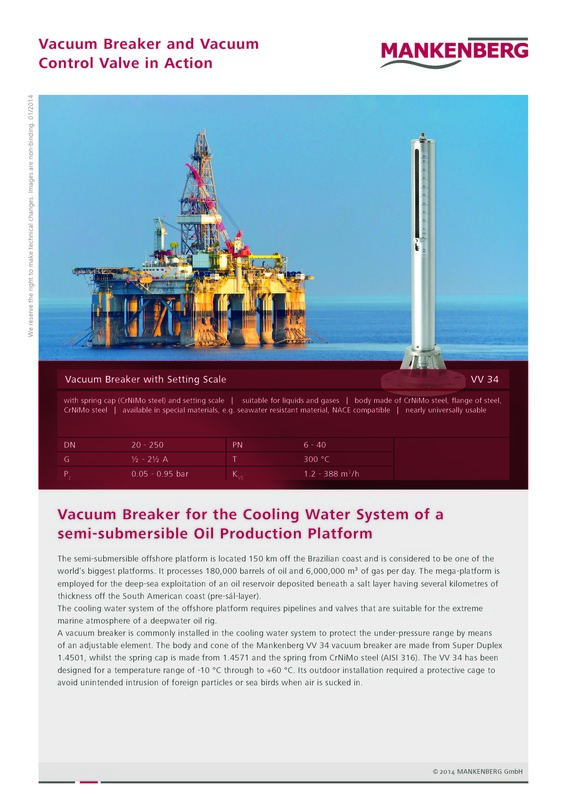 The VV34 Vacuum Breaker for the cooling water system of a semi-submersible oil production platform. 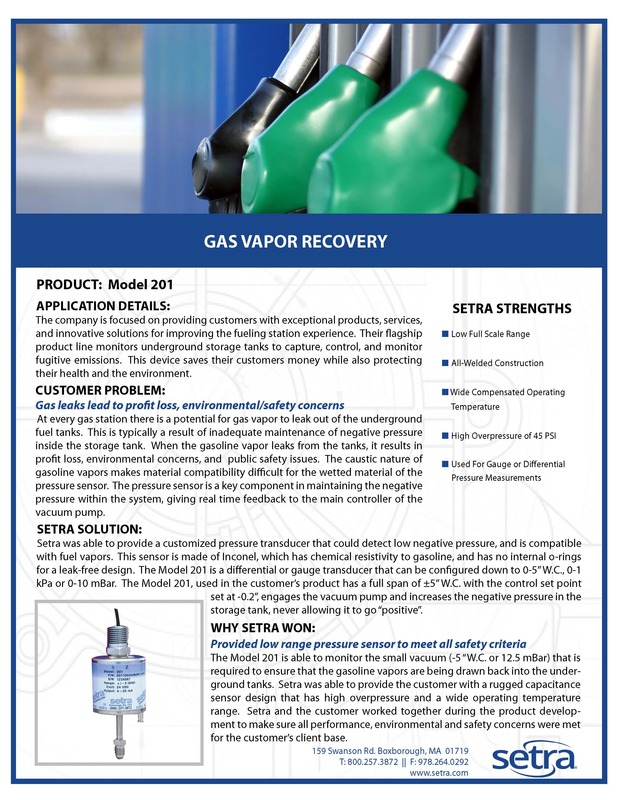 The 201 pressure sensors to monitor the vacuum required to ensure vapours are drawn back into the underground tanks. 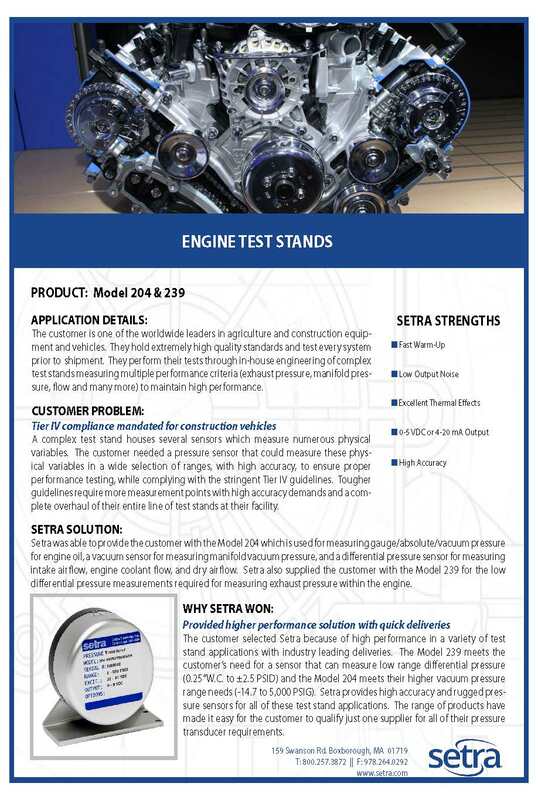 The 204 high performance pressure transducers to measure multiple pressure types for engine oil. 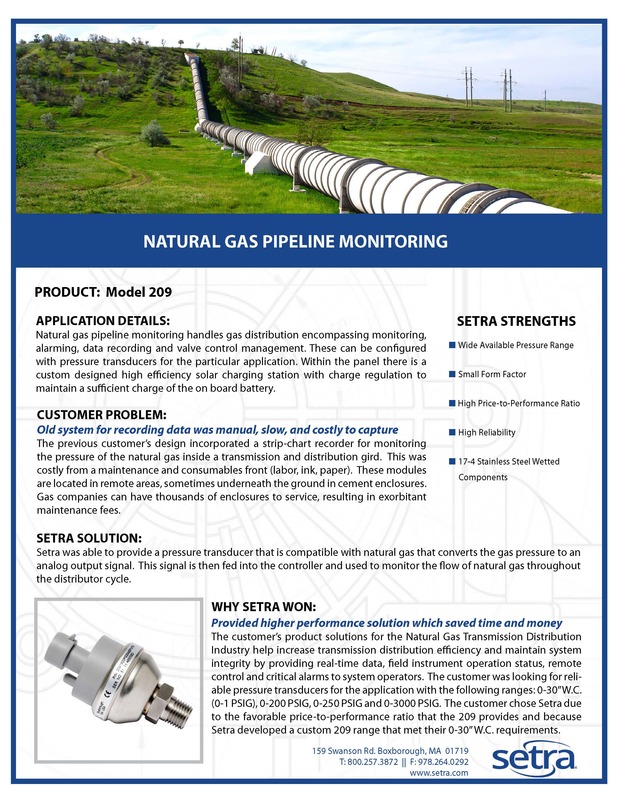 The 209 rugged pressure sensor for highly reliable natural gas pipeline monitoring. 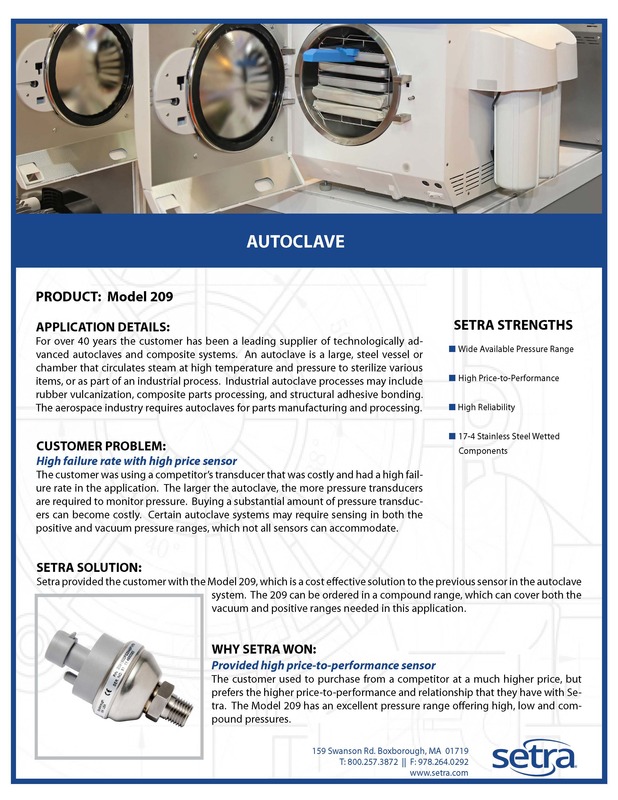 The 209 offers excellent compound pressure ranges as cost-effective solutions in autoclave systems. 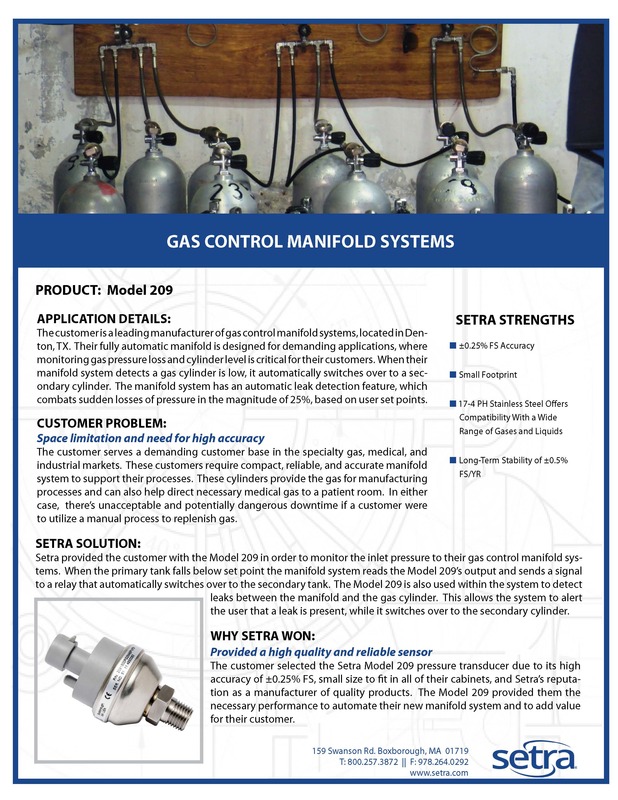 The 209 used as a high accuracy and dimensionally sound leak detection solution for gas control manifold systems. 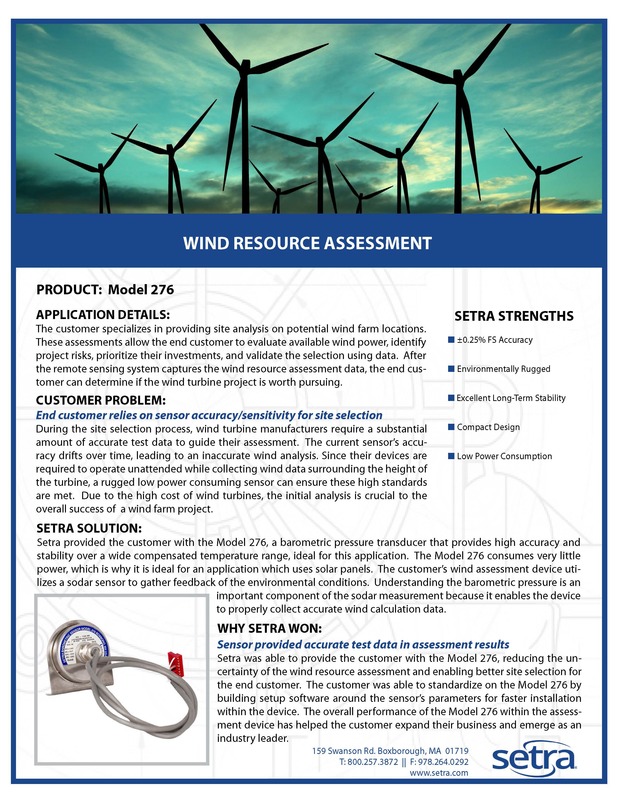 The 270 incorporates a silicon chip allowing for measurement in extended temperature ranges. 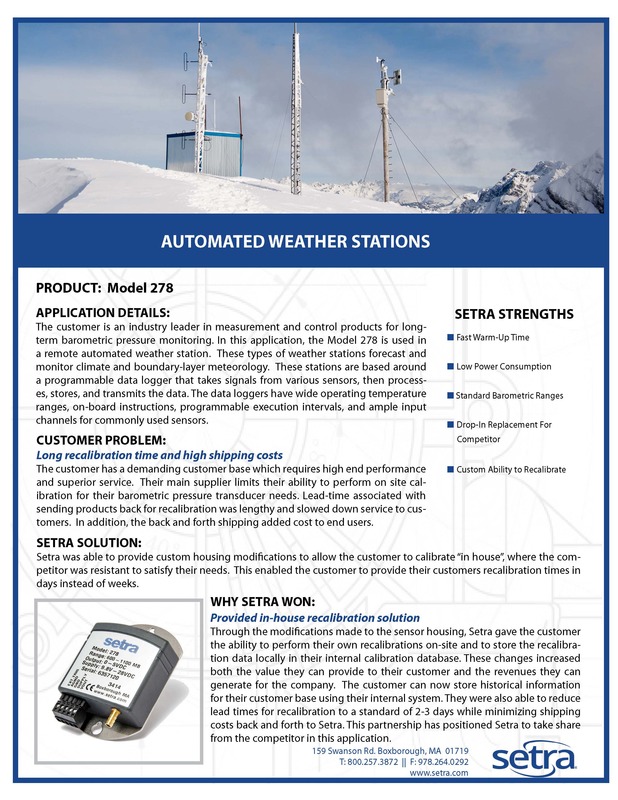 The 276 barometric pressure sensor provides high accuracy and stability over a wide temperature range. 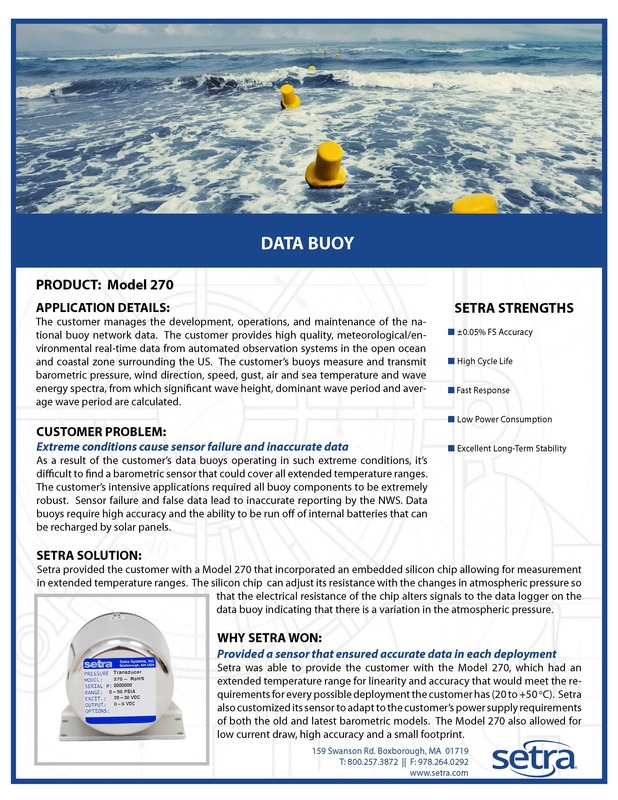 The 278 was custom designed to allow on-site calibration and store data locally into a database. 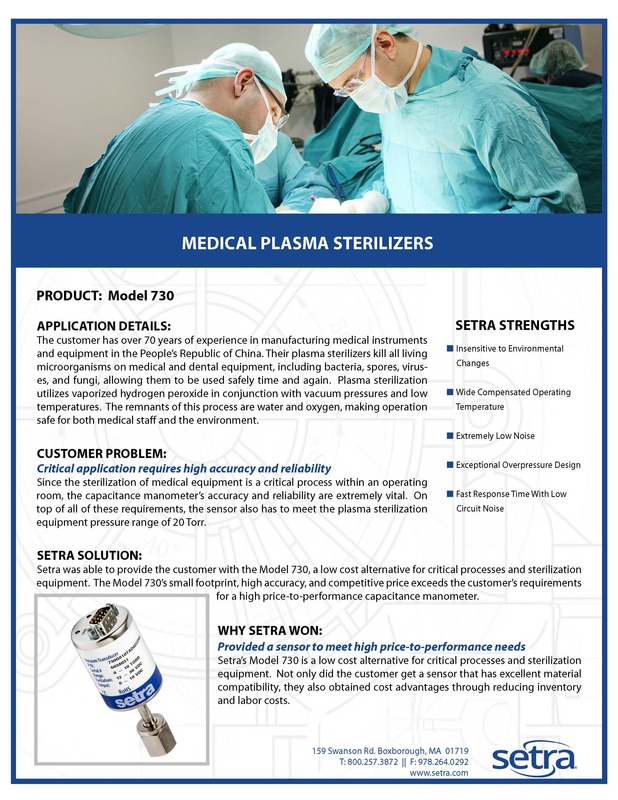 The 730 provides a lost cost alternative for critical processes and sterlisation equipment, with a small footprint and high accuracy range. 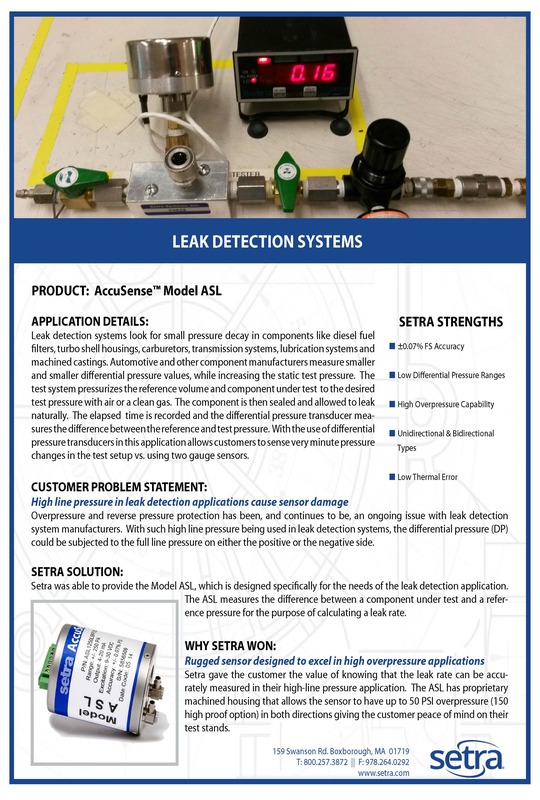 The ASL is designed specifically for leak detection, with automotive applications in mind. 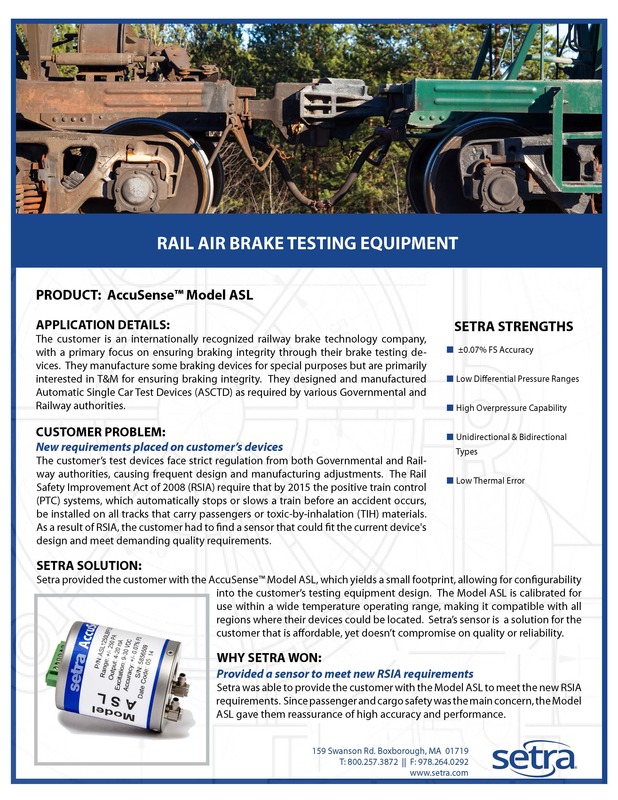 The ASL meets RSIA requirements for passenger and cargo safety, with reassurance of high accuracy. 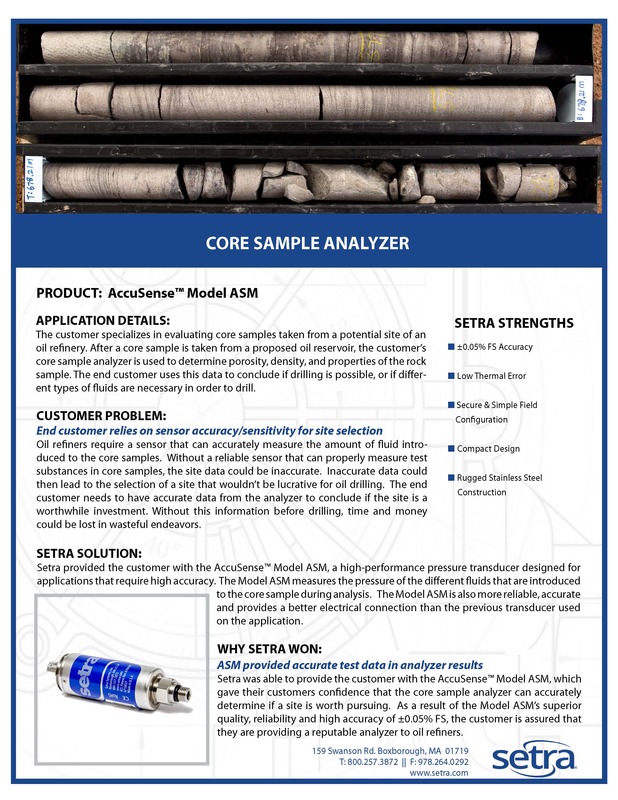 The ASM provides confidence that the core sample analyser can accurately determine if a site should be pursued. 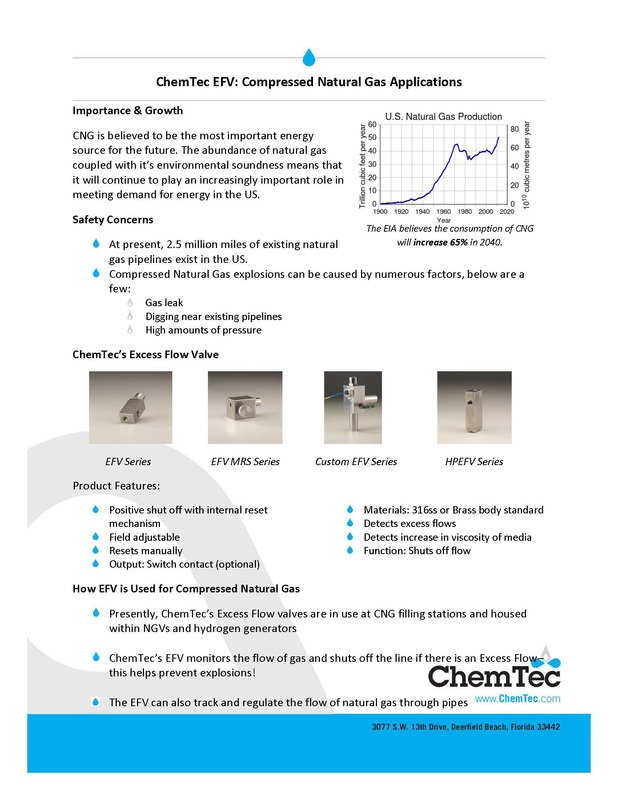 The EFV excess flow valve for use on compressed natural gas applications. 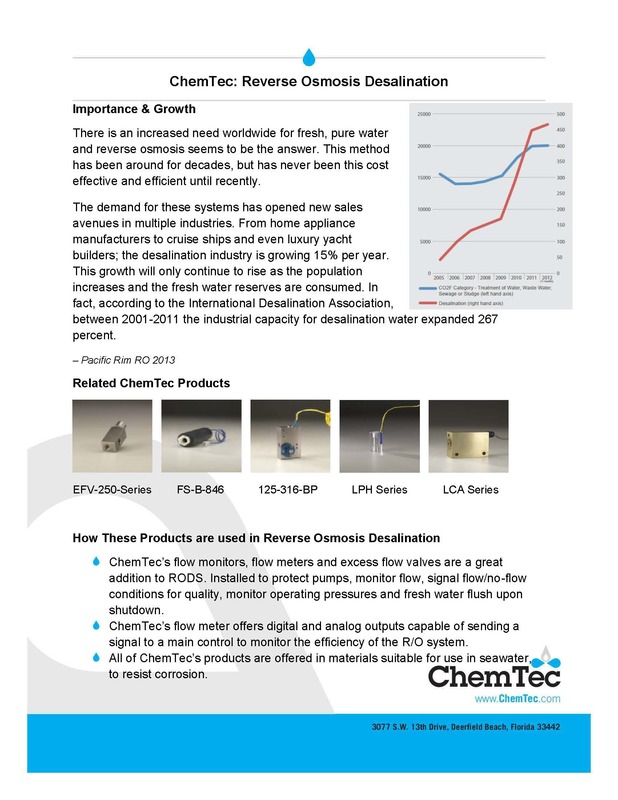 Our range of flow monitors, meters and excess flow valves for reverse osmosis desalination.